Belu Water – Keep hydrated! Belu, pure natural mineral water. A top priority for Belu has been offering an alternative to petroleum-based plastic bottles. Traditional plastics are made from a range of toxic chemicals, and even if they are initially recycled, they eventually end up polluting the environment. What if instead we had plastic that is derived from renewable materials that can be recycled and then ultimately composted back to nature at the end of its useful life. 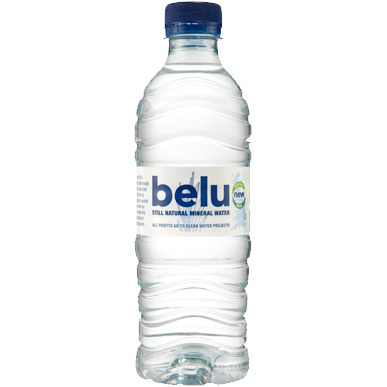 In 2006, Belu launched the UK’s first plastic bottles made from the renewable resource: corn. Our bio-bottles create fewer toxic air pollutants and have the potential to achieve substantial carbon savings compared to petroleum-based plastic. Belu has also completed initial recycling and commercial composting trials of these bottles as part of our effort to end the legacy of traditional plastic pollution.